Whether you need restorative or cosmetic dental work, financing is available! We make every attempt to give you the best quality dental work at the most affordable prices. We accept all major credit cards includingincluding Visa, Mastercard, and American Express. There is also 3rd party financing available through CareCredit. CareCredit is great because you can get your dental work done today and then pay over time in easy monthly payments. There are even no interest options depending on the amount financed and the applicants credit history. If you have any questions about using CareCredit at our Bountiful Dental Office, please give us a call! 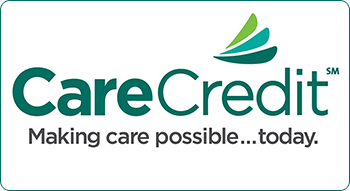 You can access the CareCredit website through this link. Another way to take care of your dental care needs at our office is by joining our MemberDent program. You will save on your regular dental visits, including exams, cleanings and x-rays, get FREE teeth whitening, and get savings on all your other dental needs!